Cover 1 man defense can be done a lot of different ways but in general, there is one safety and man defense on all eligible receivers. 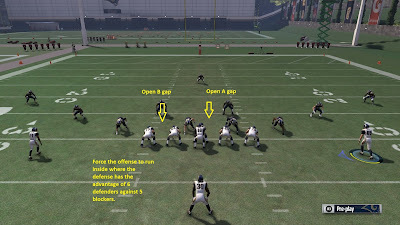 Since Cover 1 is in the single high family it will usually have a numbers advantage against the offense in the box(unless it is an option play). So, generally against cover 1, you want to look at the passing game when attacking it. Isolate your best and bunch the rest. Against man defense, the rule of thumb is to isolate the mismatch that is in your favor. 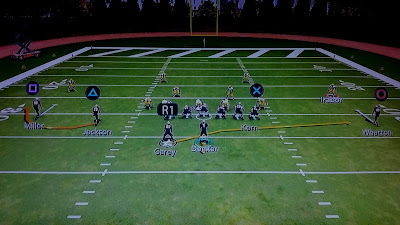 3x 1( three by 1) formations with your best receiver on the single side are great ways to attack this coverage. 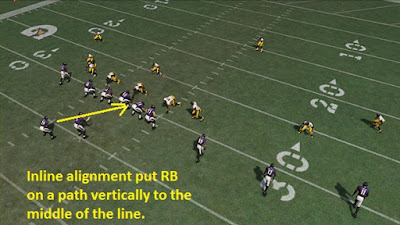 You can even put the three receiver side to the boundary and your start to the wide side of the field to give him more room to work.